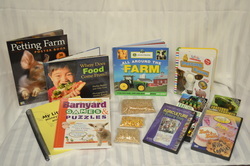 The kits available through Ogle-Carroll Counties Agriculture in the Classroom are cross-curriculum, thematic kits that contain books, videos, lessons, craft ideas, and posters. 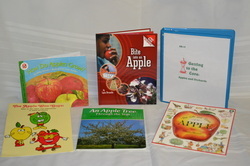 The kits are fun, informational and are easy to implement into your classroom or learning situation. 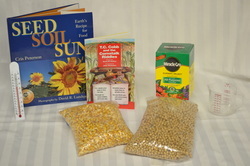 The Agriculture in the Classroom Kits are available to use by contacting Melinda at 815-732-2191 or charbm@illinois.edu. Take a look at a slice of agriculture...a pizza slice. Learn how all the ingredients on your pizza begins on farms, are processed, distributed and made into a delicious meal. Explore Planet Pizza via video and visit a real “pizza farm”. Take part in a slice of the action through the Pizza Party fractions game. 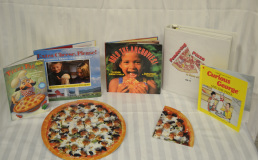 Through hands-on activities, books, posters, and curriculum, ponder the wonders of pizza. Crack the mystery of eggs and see a miracle in 21 days. 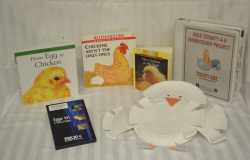 Eggsploring Poultry is filled with books on embryology, videos, poultry facts, games, and other hands-on activities. 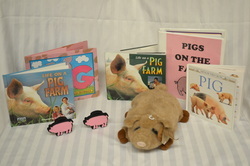 This kit will help students understand what pigs are, what farmers do to take care of pigs, and how people benefit from pigs. Students will also learn that while we go to the store to purchase our food, it begins with the plants or animals raised on farms. Pigs provide us with a variety of food and non-food products. 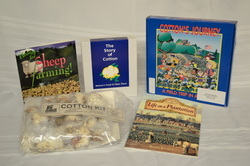 The lessons and materials in this kit will help students understand what a farm is, what farmers do, and what comes from farms. They will also learn that there are many different kinds of farms. Students will learn that while we purchase our food from the store, it begins with plants or animals raised on farms, which are the heart of the agriculture industry. Teach your students how wheat is grown, milled, and then made into foods worldwide. 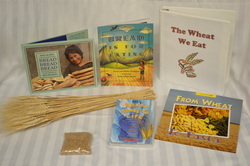 The resources in the kit will help students learn about the people who make bread, the places where bread is made, and the different ways to make bread, pasta, and many other foods. 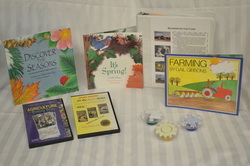 The lessons and materials in this kit will help students understand how agriculture revolves around the seasons and how the farm brings us many lessons about winter, spring, summer and fall. Students will learn that while we go to the store to purchase our food, it begins with plants or animals raised on farms. Different seasons provide us with a variety of foods and other products. Explore dairy farming in action. 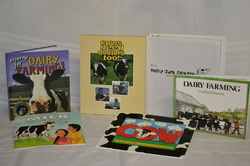 Through videos and books, experience the life of dairy cows on the farm and see a veterinarian at work. Follow the path milk takes as it travels from cow to you. Learn about the nutritional value of dairy products and try your hand at making butter. Discover the wonders of pumpkins. Watch tiny seeds grow into several varieties of pumpkins in a time-lapse video and learn how to prepare the soil for next year’s crop. 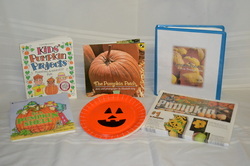 The Pumpkin Patch contains posters, books, hands-on activities, recipes, and fascinating pumpkin facts. How do apples grow? Where do all those varieties of apples come from? Learn the answers to these questions and so much more! Take an inside look at apples and their history. Getting to the Core includes a lot of hands-on activities and games, things to make and things to eat, videos, posters, and books. Unravel the mysteries of the fibers that make up our clothing and a multitude of other items. Through hands-on activities, books, a video, and fiber samples, discover the origins of many natural fibers such as cotton, wool, and silk. Try your hand at spinning and weaving and learn how fibers are woven into our daily lives. Use the magnifying lenses to take a closer look at the textile industry. Each pack is a backpack that contains hands-on equipment to encourage students pre-k through 3rd grade to engage in nature exploration. Suggestions for educators on how to incorporate natural resources-related topics into curriculum are also included. Below is a list of contents in the kit. This kit offers problem-solving activities in plant propagation, production, and processing. Students will conduct experiments to learn about plant differences and plant ecosystems. They’ll also sequence plant products, research the discoveries of George Washington Carver, and look at the impact of crops on the national economy. Students will learn about the impact of insects on crop production through a variety of lessons and activities. Mapping exercises let students follow butterflies on migration patterns. Students track a day in the life of an insect and learn about wingspan, life cycles, anatomy, and social hierarchy patterns of common insects. 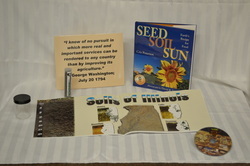 Soils are alive, as students will discover through the lessons in this kit. Students will learn to conduct experiments in soil pH, create soil profiles, and understand the components of soils. They will also unveil the history of crop rotation and dig into the Dust Bowl. 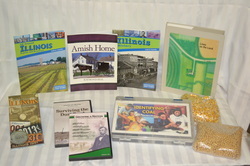 Prairies, coal, Ronald Reagan, Chicago, John Deere, and Big Blue Stem: This kit covers everything Illinois. The lessons in this kit highlight the six geographic regions of the state. Therefore, students can explore the geographical diversity of Illinois. 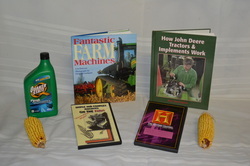 Students will learn about the history of farm machinery and the impact of modern farming techniques on families and communities. They’ll also learn how inventors John Deere and Cyrus McCormick helped shape modern agriculture. Hands-on exercises let students identify machinery parts and estimate farm machinery costs. Students will uncover interesting facts about U.S. poultry production through exercises and hands-on experiments. They’ll learn about the anatomy and nutritional value of an egg. They’ll also learn about the history of egg production and find out how poultry dishes are prepared around the world. Hands-on exercises let students explore the processes of using milk, acids, enzymes, and bacteria to make cottage cheese, yogurt, and ice cream. Students will find out how much milk one cow produces in its lifetime. They’ll learn about issues of supply and demand in the dairy industry, and they’ll also dive into history. 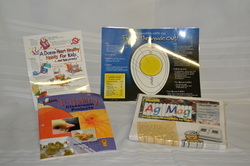 Mini Kits are also available for K-5 curriculum. 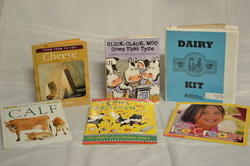 The Mini Kits include books, videos and activities. 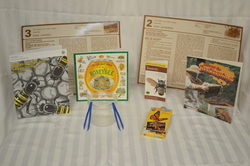 The following themed kits are available: Bee, Beef, Blueberry, Candy, Cotton, Cranberry, Dairy, Horse, Peanut, Pork, Potatoes, Poultry, Pumpkins, Sheep, Soybeans, Sunflowers, Wheat.